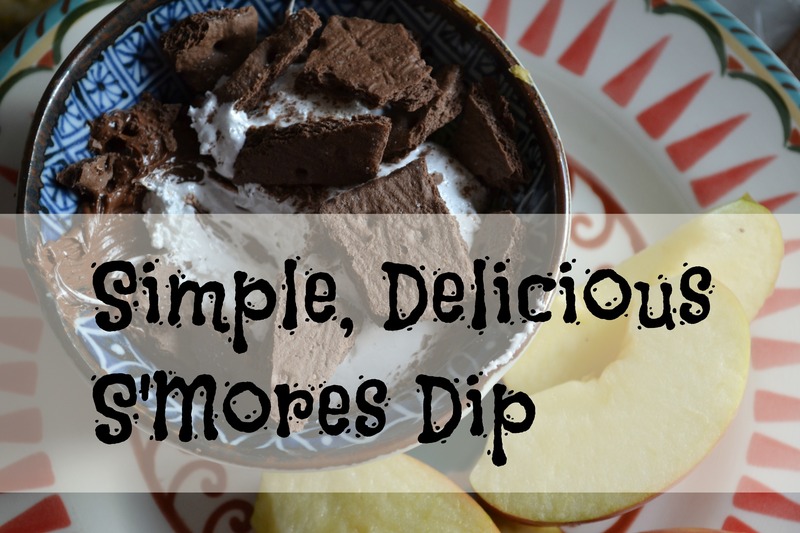 We tried this fruit dip a few days ago after school…when the kids descended on the kitchen and I didn’t have anything ready and I was just pulling things out of the cupboard for them to tear apart like vultures before they started eating the door trim. They loved it. You can dip any sort of not-too-soft fruit — apples, pears, bananas. Graham crackers also worked really well. And while I can’t really defend marshmallow fluff as “healthy”…it did get them to eat some fruit. So it all balances out, you see. 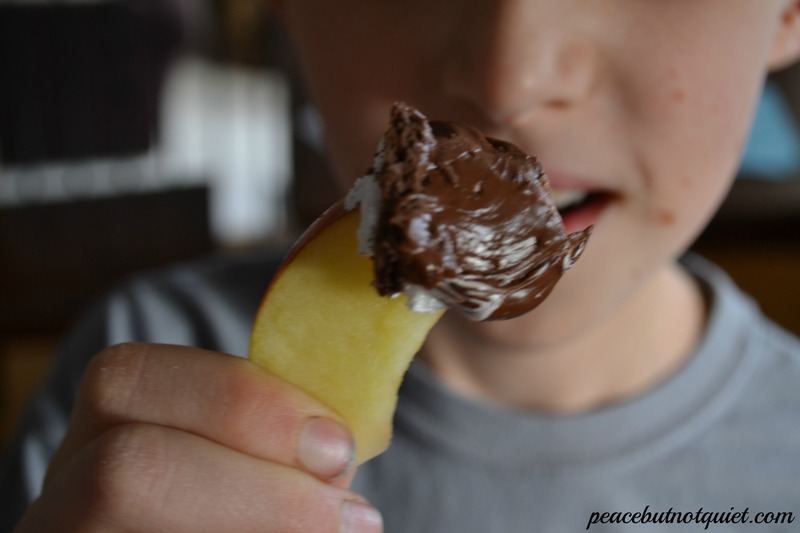 Spoon Nutella and marshmallow fluff into dipping bowl. Slice and serve fruit and graham crackers. Dip away!